Clifford Paul Blaha, 92, died peacefully at home in Ettrick, Wisconsin with his family by his side on June 13, 2018. Clifford was born on February 9, 1926 to Jacob and Agatha (Brynok) Blaha on a farm near Independence, Wisconsin. At age 5, his family moved to Ettrick which became his home for the remainder of his years. He graduated from Blair High School in 1944. That same year, he joined the U.S. Army as a rifleman in the 7th Infantry Division. Clifford fought in the Philippines and the Battle of Okinawa. During 82 days of combat he was shot once in the arm during the Battle of Okinawa, and on the last day of the battle he was hit by shrapnel in the back. When the war ended, he was stationed in Korea. Clifford was honorably discharged in April of 1946. He received numerous medals for his service including the Purple Heart with Oak Leaf Cluster, Asiatic-Pacific Theater Service, and the Bronze Star which was awarded to him at a memorable ceremony in 2015. In 1956 he met his wife, Elizabeth (Betty Lou) Thesing, on a beach in Acapulco, Mexico. They married on October 12, 1957 at Saint Rose of Lima Church in Lewiston, Minnesota and have been married for 60 years. Clifford was a Master Plumber and a Rural Letter Carrier with the U.S. Postal Service for 30 years. After his retirement at age 68, Cliff and Betty spent many years travelling the United States and Canada in their RV. He was involved in many organizations: Ettrick American Legion Post 354 (Past County Commander), VFW, DAV, Ettrick Lions Club (received the Melvin Jones Fellow for Dedicated Humanitarian Services in 2014), and Rural Letter Carriers’ Association (State Delegate to several National Conventions). He was revered locally as a great fundraiser, particularly for selling Ettrick Days buttons and raffle tickets. Survivors include his wife, Betty; son, Paul Joseph Blaha, Ettrick; daughter, Mary Anne (Don) Blaha-DeBoer, La Crosse; and grandchildren, Amanda Elizabeth DeBoer and Avery Marie DeBoer; his sister, Sr. Bernice Blaha, FSE, Lowell, MI. He is also survived by in-laws Eugene (Judy) Thesing, Charles (Janice) Thesing , Bernard (Susie) Thesing, Doris Thesing, Alice Thesing and many nieces and nephews. Clifford was preceded in death by his parents, siblings Clara Walters, Monica Jeanne Lampke, Joseph, Dominic and in-laws Vilas Walters, Larry Lampke, Ruth Roberts, and Jane Blaha. A funeral Mass will be held at 2:00 p.m., Sunday, June 24, at St. Bridget’s Catholic Church, 22650 Washington St., Ettrick. Visitation will be from 12:00-2:00 p.m. Fr. Amalraj Antony will officiate. Military honors by Ettrick Runnestrand-Pederson American Legion Post 354 will follow at the cemetery. The family would like to thank the staff at Hillview Health Care Center for their care of Cliff since Christmas and the staff at Gundersen for providing care for him over the years. 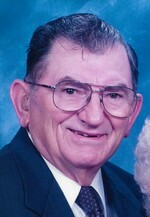 To send flowers to the family of Clifford Paul Blaha, please visit our Heartfelt Sympathies Store.